This Ruban Art Nouveau design 3 light inverted Tiffany pendant is stunning, washed in amber beige glass and flowing ribbons of deep red and crimson colours. Each piece of glass in this shade has been hand crafted to create a wonderful, high quality feature ceiling light. It features a beautiful blend of vibrant colours, clear, translucent and rippled glass that will shimmer when illuminated. Suspended from a rubbed black ceiling rose and three chains holding the inverted 40cm Tiffany shade, this pendant will brighten the gloomiest space, enhancing any large home with the beauty of Tiffany lighting. Height adjustable at the time of fitting, minimum height 40cm, maximum drop 66cm. 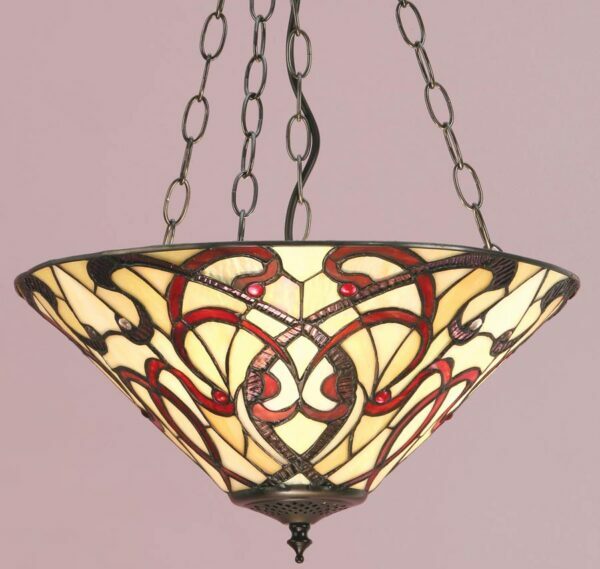 With an array of bold colours and different glass finishes in the design, this Art Nouveau inspired Tiffany ceiling light is quite simply stunning. This is a hand-crafted Tiffany shade pendant light and the colours may differ slightly from the image shown, as each piece of glass is hand-made and may differ slightly in colour or shade. This should not be seen as a fault, rather something that makes each Tiffany shade unique. 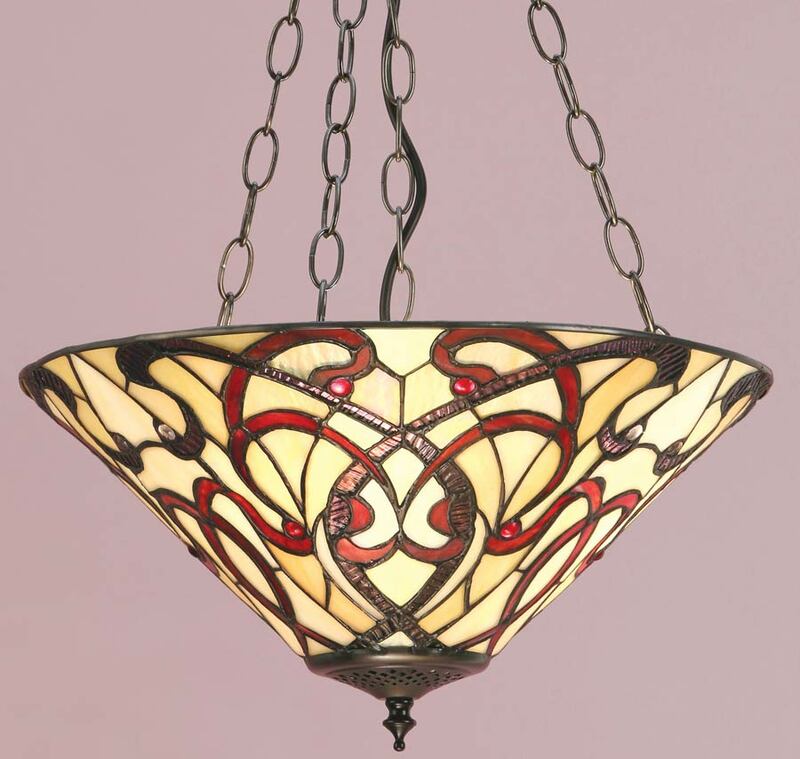 The Ruban Tiffany ceiling pendant is a stunning work of art, brought to you by Interiors 1900.